Argentina was counting on record agricultural yields that would contribute significantly to the expected 3.5% GDP growth in 2018. Instead, 2018 agricultural exports are expected to be reduced by some US$ 3.5 billion. This is expected to result in a cut of GDP growth by at least 1% to 1.5%, not counting agriculture related industries that will suffer losses, many of which may have to close and thereby also increasing unemployment – and human misery. The neoliberal Mauricio Macri, who came to power in December 2015 as an implant by Washington, has already devastated the country by drastic austerity programs, combined with severe tariff increases for public and social services, i.e. transportation, electricity fuel, water supply, as well as health and education. The country is in shambles with an unemployment rate, officially hovering around 10%, but in reality, it is more like 20% to 25%. The poverty rate increased under Macri’s dictatorship to about 35%, from about 15% in November 2015, before Macri came to power. Strikes and social protests abound. 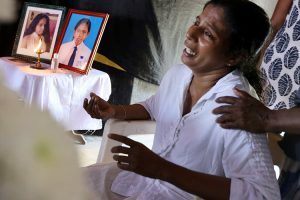 There is not one week without social unrest – which drives the country further into the ground. 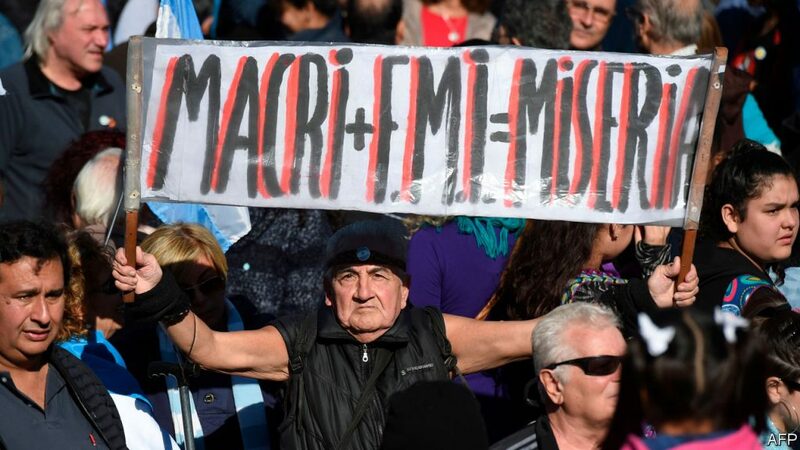 Like the Yellow Vest in France who want to oust President Macron, Argentinians want to get rid of Macri. In comes the IMF which has recently published a devastating report about Argentina’s state of the economy. It predicts a grim scenario with rising interest rates on Argentina’s mostly dollar denominated debt, triggering local money production and a predicted inflation of 40% – a continuous loss of purchasing power, hurting especially the poor and average income earners, prompting more social unrest – a vicious downward spiral.